Full Sutton prison near York has a particularly impressive history of achievement within the Butler Trust Awards, winning five Awards and a Commendation in the last eight years alone. 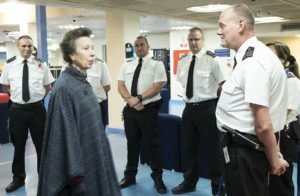 On the afternoon of 7 November, as the rain began to fall, our Royal Patron, HRH The Princess Royal, arrived at the gates of the prison, to see our winners in their place of work, and meet their colleagues from across the jail. Escorted by the Governor, Jennifer Willis, The Princess began her visit, appropriately enough, in Visits, where she met Pete Jarvis and Gerry Ryan, Award Winners from 2016 and 2017, respectively, and a number of colleagues closely involved in creating the prison’s “rehabilitative culture”. A distinguished audience of over 200 delegates gathered at the Royal Institute of British Architects in London on November 6th for ‘Parole, Probation and Prisons – Past, Present and Future.’ Organised by The Butler Trust and supported by HM Prison & Probation Service (HMPPS), the conference marked the 50th Anniversary of The Parole Board. 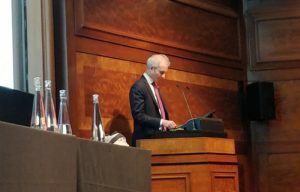 An exceptional roster of speakers included The Rt Hon David Lidington MP, Lord Chancellor and Secretary of State for Justice; Nick Hardwick, Chair of The Parole Board; and Michael Spurr, CEO of HMPPS; as well as leading academics and representatives of victims and service users. After the success of last year’s Prison Officer Summer School at Cambridge University, which brought together front line staff and world-leading academics in the prisons field, to share their knowledge and experience with one another, the Butler Trust ran a follow up event in August, at the University of Oxford. Last year’s event led, among other things, to changes in POELT training, the introduction of mentoring for new staff, and a review of training and development for existing staff. This year’s event brought together 117 officers, with over 1150 years of experience between them, and representing over 95% of the custodial estate in England and Wales, to build on last year and drill down in more detail into: how to recruit, train and support staff better; and how to hold on to, and get the most out of, more experienced staff. After receiving a record-equalling number of nominations this year, judging for the 2017-18 Awards is now well underway. 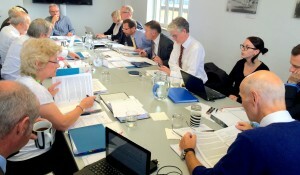 In the first stage of the process our Sifting Panel reviews all the nominations to prepare a shortlist of around 40. They are still reviewing all of the 343 nominations received this year and will meet later this month to consider their final shortlist. From there, the shortlisted nominations will be pass on to our Judging Panel, who will make the final recommendations to Trustees later in the year. We hope to announce the shortlist for this year’s Awards in early October, and the final outcomes at the end of the year. Do you know someone who goes ‘above and beyond’? 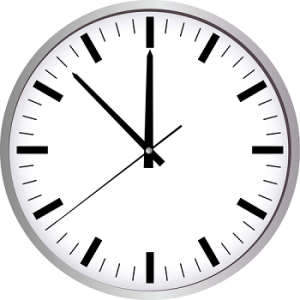 There’s still time to nominate them for a Butler Trust Award, but you’ll need to get your skates on because nominations close on 30 June and we can’t accept any submitted after that date. Nominations will need to be signed off via your Local Champion before they can be sent on to us. The nomination form includes guidance showing who you should forward your nomination to so that this information can be collected. You can find more information about the Awards, and download a nomination form, in the Awards section of our site. And you can view a short video about the Awards here.